Knight Frank announced on Jan 14 that Century Warehouse, an exclusive freehold industrial “B1” development along Pasir Panjang Road, has been sold collectively for S$48.5 million to a private investment company. The sale is S$8.5 million less than the initial asking price of S$57 million when the property was first put up for sale in October last year. Century Warehouse is an 8-storey freehold industrial warehouse with basement carpark, comprising 35 strata units with a total strata area of 56,539 sq ft. The development sits on a site with an area of 2,824.4 sqm (approx. 30,402 sq ft) and is regular with a frontage of approximately 35 metres onto Pasir Panjang Road, and average depth of 82 metres. According to the 2014 Master Plan, Century Warehouse is zoned “Industrial (B1)”, with an allowable Gross Plot Ratio of 2.5. The sale price of S$48.5 million for Century Warehouse translates to a unit rate of S$858 psf on the existing strata area, or land rate of S$638 psf ppr. 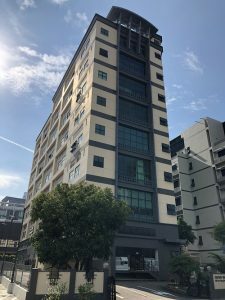 Tuan Sing Holdings’ wholly-owned subsidiary, Asiaview Properties, owns 31 out of the 35 strata units at Century Warehouse, and close to 90% of the strata area. It therefore stands to receive S$42.4 million in proceeds from the sale. The rest of the 4 strata units are owned by third parties. All the owners (100%) gave their consensus to sell the property. Commercial properties such as Century Warehouse may be bought under personal name, but total debt servicing Total Debt Servicing Ratio (TDSR) will apply on the individual’s income on such purchases. To buy a commercial or industrial property under company name, total debt servicing ratio TDSR also applies on the individual director’s income if the company is an investment holding company or an operating company that is loss-making or does not have sufficient cash flow to servicing the repayment.